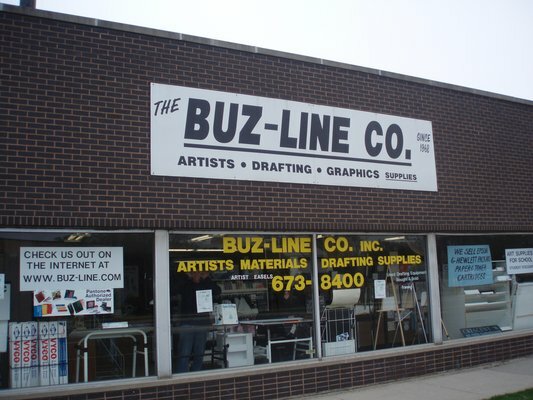 Welcome to Buz-Line Co., Inc. We are a family owned graphic artist supply company from the Chicago area that has been serving graphic designers, fine artists, Architects, engineers, offices and individuals with an extensive line of supplies, knowledge and valuable information since autumn of 1968. We are located in Skokie, IL., which is just a stones throw away from the Chicago border. We have nearly a century of combined experience and now over 8,000 discounted products for sale through our website/on-line store. The Buz-Line staff, made up of: Brad, Bob, Buz, Ric, Ruben, Randy, Carole, Steve and Jim is more than qualified to handle your every need! At Buz-Line we are an artist material supply store, we carry art supplies, art drafting supplies, art painting supplies, discounted art supplies and more.